Why hire professional movers for your residential move? -The residential moving process is faster with professional movers. -You, friends and family won’t have to strain and potentially hurt themselves on heavy or large furniture. -We have the right equipment to get the job done safer and easier. -We offer packaging services and secure all your belongings so your don’t have to worry about damage. What are your rates for a residential move? We can provide rates for our residential moving services by going to our Contact Us page and filling out the form. This is because everyone’s move is different. What are the advantages of using a professional company for Commercial Moving? -The move is more coordinated. -The move is normally much faster because of the professional experience. -You don’t have to buy equipment for the move. -Large items that could hurt you or your employees are taken care of. -Many times it can cost companies as much money to move than just hire a professional company. This is because of equipment, and time that goes into the move. What are our Commercial Moving rates? We can provide rates for our commercial moving services by going to our Contact Us page and filling out the form. What steps should I take before a move? Be Present When Your Belongings Are Packaged and Picked Up – The movers will give a list of all your belongings, you have to make sure all your items are on the list so if anything is lost or damaged you have protection. Help the Friends and Family that help You Move – Make it easy on them and package your items before they arrive. This means having everything ready so all they have to do is grab boxes and furniture. Clear a space for the Moving Truck – Many times in extremely busy areas, it is also good to notify your neighbors or anyone else who needs to know that there will be a truck in the way the next day as a courtesy. Take All Personal Documents and Expensive Jewelry with You – Losing these belongings can come at a great cost of money and time to recover. Cleaning After the Movers – Buy all the cleaning material you will need in advance so you can just jump in and get the chore over with. When is the best the time of year to move? The best time of year to move is normally from the months of May to September. This is usually the best time because of the warmer weather making the process much easier. However, we can’t always choose when we get to move due to move in and move out dates. When there are weather conditions that make the move more difficult, it is usually a good idea to get moving professionals to help you with the logistics of your move. What are the benefits of using professional movers? -Your belongings are safe and can be insured. This can give you some peace of mind especially when you are making a long-distance move. -You won’t hurt yourself moving big or heavy furniture. -You can skip having to do multiple trips because the moving company will help you plan ahead. -You don’t have to rely on friends who could possibly have an excuse to not help. How to prepare for an office move. Hire Experienced Commercial Movers –You’ll want to make sure your moving company has the equipment and experience to handle property, merchandise, delicates, and other sensitive customer records. Packing and Unpacking – Moving a commercial business will require expert packing and unpacking. The last thing you want is damaged merchandise, adding onto cost for your company move. Create a Moving Schedule – Mark the day of your re-opening on the calendar for you and your employees. That’s the day when everything has to be in place and ready for your customers. If you work backward from that date, it will allow ample time for everything that needs to get done. Work from a master to-do list. Make sure all employees are aware of due dates for specific tasks. Assigning Moving Details – Acquire help from your staff. Assign a team-lead to head up the organization of the commercial business move. The team lead will delegate work to the other employees. All items should be assigned to someone on the team. Create the Floor Plan – Have a place for everything you’re moving. With a plan in place, your commercial moving company can unpack and place items in their newly dedicated location. What is Packing & Unpacking Services? This is where professional movers pack and unpack your delicate belongings safely and securely. This is to make sure there is no damage to your expensive and important items in the transition of moving. What are our rates for packing and unpacking for regular and specialty items? We can provide rates for packing all your belongings by going to our Contact Us page and filling out the form and putting specifics in the “message” section. As Alabama Movers, do we move people out of state? Yes we do! Tell us what your unique move is and we will accommodate for you. With our professional movers and drivers we are one of the most trusted sources for long distance moving in the state of Alabama. We beat out all large moving companies by giving you a flat rate. This way you don’t have to worry about hidden fees or charges avoiding a surprisingly large bill after your move. Do we move people in/out of apartments? Yes! We understand that everyone’s move is different.  Whether you are moving down the street, across town, or across the country, Liberty Moving has you covered. We provide the service to pack/unpack your valuables and have top of the line professional drivers who can accommodate moving specialty items like a piano, fine art, or other antiques.